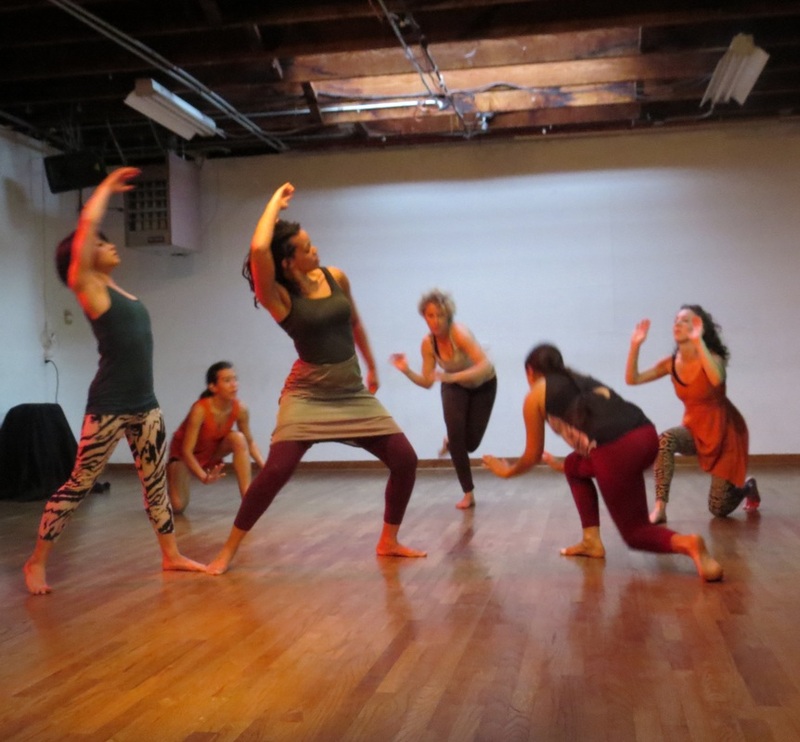 Terrestrial Footprints is an evening-length premiere, choreographed and performed by Cherie Hill IrieDance with splendid dancers, Emmeline Gonzalez-Beban, Andreina Maldonado, Hope McManus, Linda Phung and Rose Rothfeder. 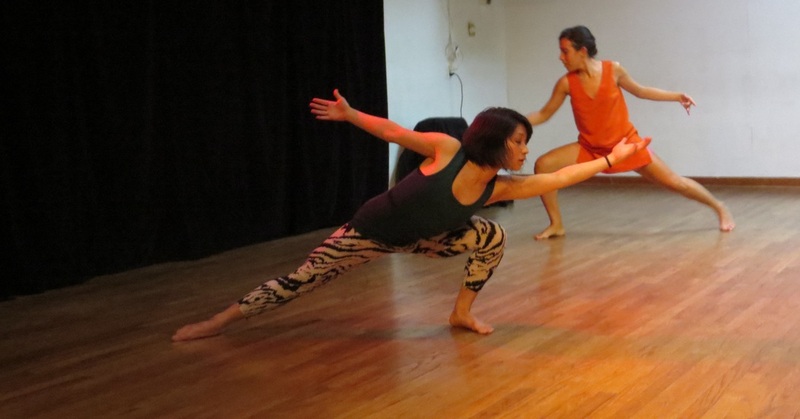 Experimenting with contemporary dance, improvisation, and African aesthetics, Terrestrial Footprints is layered with ambient sound effects and heavy bass. Dancers connect, disconnect, ride waves of energy in their own and partners’ bodies, and move with momentum and release. 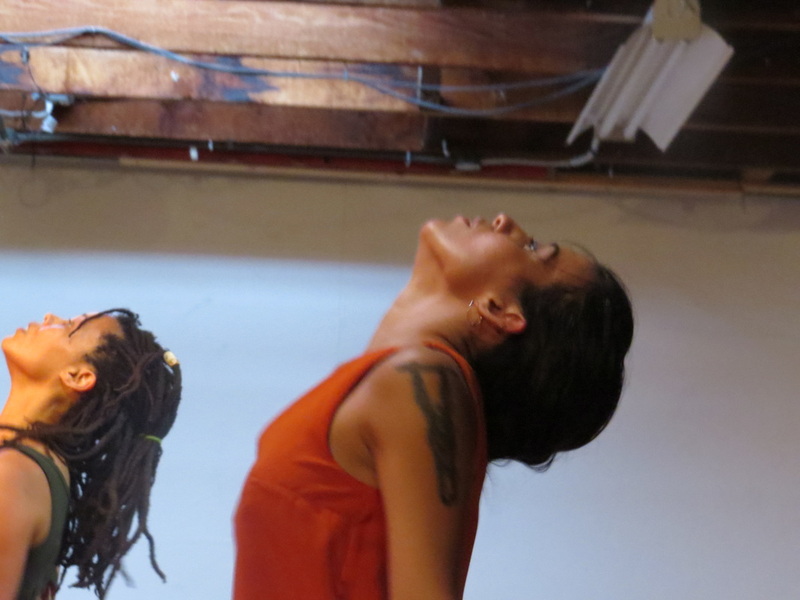 The choreography explores new contemporary dance styles that emphasize contracting, expanding, undulations and rhythm, concepts that are generally found in traditional African Diaspora dances, but rarely used for improvisational performance. Driving the piece is reggae dub music produced by Brizion, and rearranged by Peter Lionheart, both of which inspire presence of the beyond. Composed of long, luscious movement, Terrestrial Footprints is the first dance of its kind entirely performed to dub music. The piece moves between human and cosmic, revealing a painted gallery of female bodies, dancing through space, time and energy. Throughout, dancers collaborate with the environment and perform in the ballroom, on the stage, and in the balcony. The evening also features Dub Dance videos filmed by David Wofford, performed by Cherie Hill IrieDance. For the past two years, IrieDance has made choreography to dub music, learning about and experiencing the culture by attending monthly dub gatherings hosted by Inner Standing Sound. 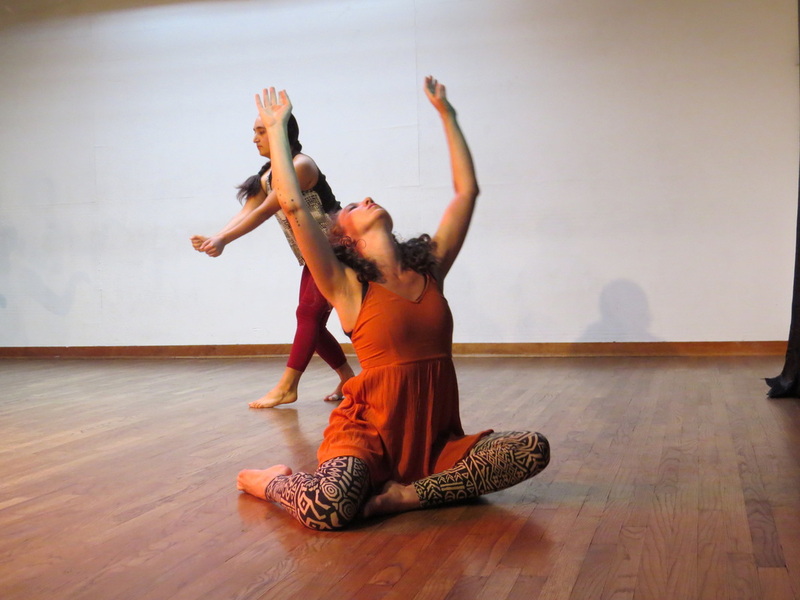 The music effects hold a cosmic vibe, displaying reverberating and echoing beats that she feels her style of contemporary dance fits well with. The music featured in Terrestrial Footprints is unreleased and rarely heard. TERRESTRIAL FOOTPRINTS is motivated by the project “Creative Movement and the African Aesthetic”, that teaches African dance elements from a conceptual perspective. 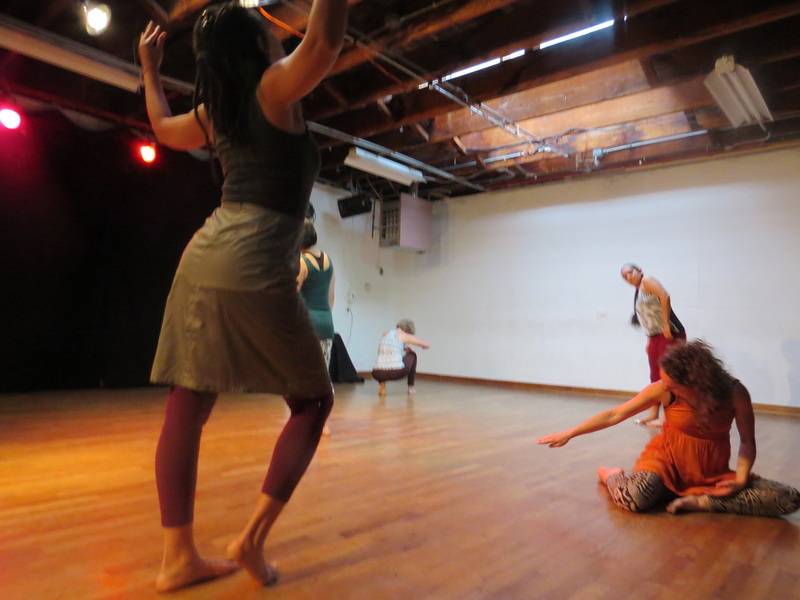 The project was developed over a period of workshops, lectures and performances with the support of Luna Dance Institute, the Sacred Dance Guild, the National Dance Education Organization, and Peer Practices East Bay. 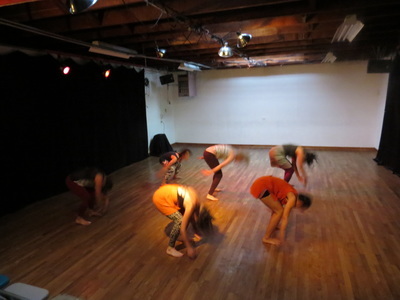 Photos by Katherine McGinity from April 4th showing at Perform: Education (Temescal Arts Center).